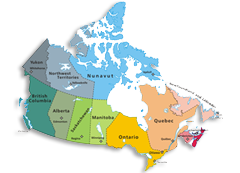 Canada is the world's second-largest country by total area and the fourth-largest country by land area. It consists of ten provinces and three territories. Canada is home to vibrant and culturally rich cities, along with incredible natural wonders. In Western Canada, the cities of Vancouver, Victoria, and Calgary are the major tourist destinations. In Central Canada, Niagara Falls, Toronto, Ottawa, Montreal, and Quebec City are the most popular destinations. Travelers can explore the beauty and unique culture of Canada's Maritime Provinces in the east. Whitehorse and Yellowknife are the major tourist destinations in the Northern Canada. The Provincial parks and National Parks across Canada are extremely beautiful locations for the eyes of a traveler. 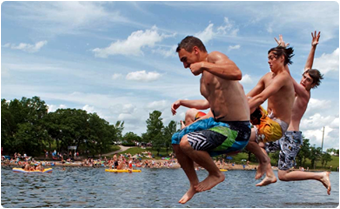 Attractions Canada website, showcases the Top Tourist Attractions, Things To Do and The Best Places for Sightseeing in each Provinces and Territories of Canada.